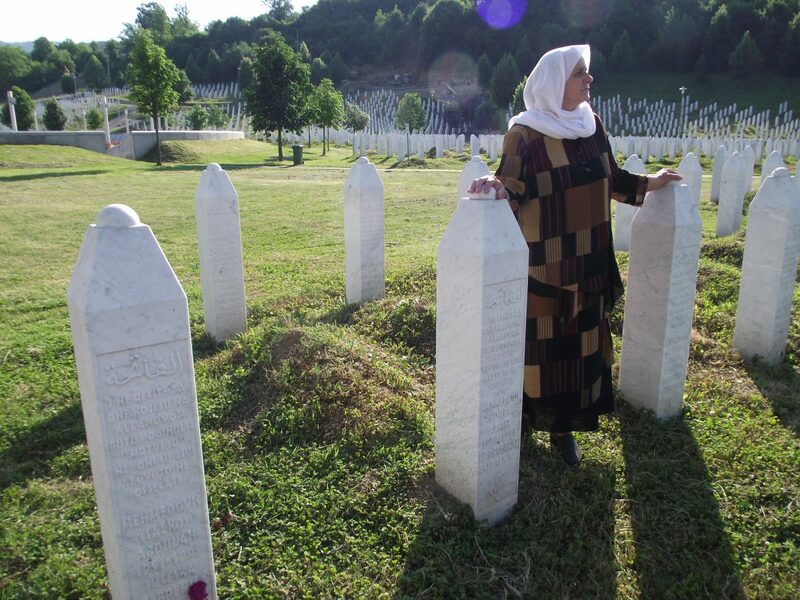 It is with deep sadness that Remembering Srebrenica announces the death of Mother of Srebrenica, Hatidža Mehmedović. Hatidža was the beating heart of Remembering Srebrenica since the very start of the charity, speaking to hundreds of delegates over the years and bravely sharing her story to ensure the memory of her children lived on. 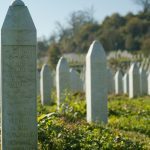 In 1995, Hatidža lost her husband Abdullah, and her two sons, Azmir who was 21, and Almir, who was just 18 when he was killed in the Srebrenica genocide. She searched for 15 years to find their remains, and in 2010, she finally buried both her sons and her husband. All that she was able to bury of Azmir, were just two small leg bones. 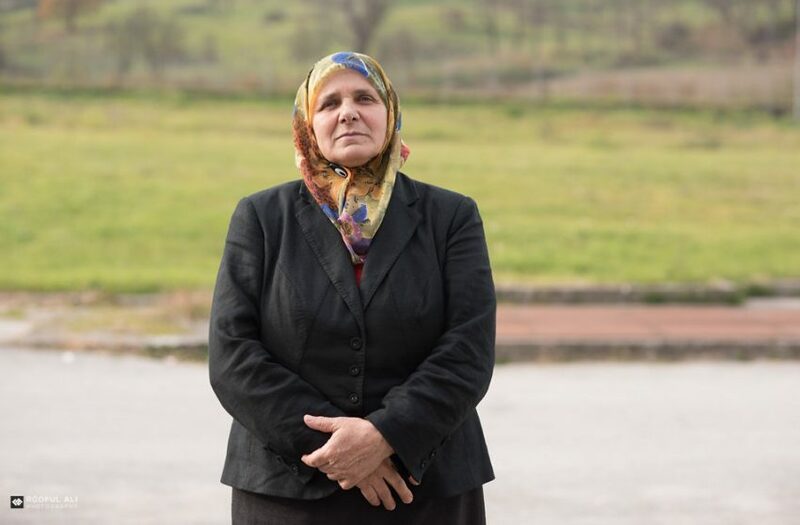 “I am a woman who lives in Srebrenica alone. I am a woman that once had a husband. I am a mother that gave birth to two sons. But I have no one anymore. I go to bed alone and I wake up alone. I gave birth to children who played, went to school, who laughed, yet all I had to bury were just two bones”. In 1993, Hatidža became a symbol of resistance, when she was at the forefront of a group of women and children who refused to let UN Commander General Philippe Morillon leave Srebrenica. Hatidža led the blockade until Morillon declared Srebrenica a was ‘safe area’ that was under the protection of the UN. She continued her fight until the very end, constantly speaking the truth about what happened in Srebrenica and even recently, when her health was failing, organised aid convoys to take food and medicine to desperate refugees fleeing Syria. After the genocide, Hatidža returned alone to the home that she built with her husband. She was one of the first returnees and she went back to feel closer to her children, and show the perpetrators “they had not succeeded”. “Hatidža was a remarkable woman. She fought desperately for years to find out what had happened to her husband and children. Unfortunately, she experienced the very worst of humanity at first hand; her oldest son and husband were killed together by a firing squad and her youngest son died alone, as he tried to hide from his killers. However, despite all she had been through she refused to give in to hate, and never sought revenge. Instead, she stood as a beacon of light who lived so that the memory of her children could live on, and no one else’s family would be subject to the horrors hers had experienced. She asked me to promise that when she lost her battle with cancer, we would keep her children’s memory alive and always speak the truth about Srebrenica. “I, together with our 1,200 Community Champions and our six English regional boards and three country boards in Scotland, Wales and Northern Ireland, will ensure that we do just that and Hatidža’s legacy will not be forgotten”.